Not as much free time today as I'd hoped, but still managed to make some pretty decent headway towards getting the assault squad done. Turns out the "blacking in and cleaning up" step is definitely going to be the long pole in this paint scheme, taking care not to inadvertently paint over any of the 'good' areas of yellow meant this stage took almost as long as the entire yellow stage up to this point. Oof! Ended up mixing up a 50/50 bottle of shadow grey and black to use to highlight the black areas, followed by a stone grey spot highlight. Far less drastic than what I'd done on the test models. Worked a little on the embossed legion symbol on the left shoulder pads, and went with a darker metallic on the various weapons and piping. Finally I laid in the light blue areas on the eye lenses, power weapons and hoses. Still need to wash and highlight them, but the models are definitely coming into focus now! They really have a lot of open yellow space to play with any plans for decals or freehand? I really love the yellow and black combo on these. I wouldn't mind being charged with all that coolness. Yellow is such a difficult colour but you do it well. 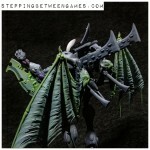 I'm totally stealing some of your scheme concepts for my first templars :). Mk IV's in this scheme is sweet! 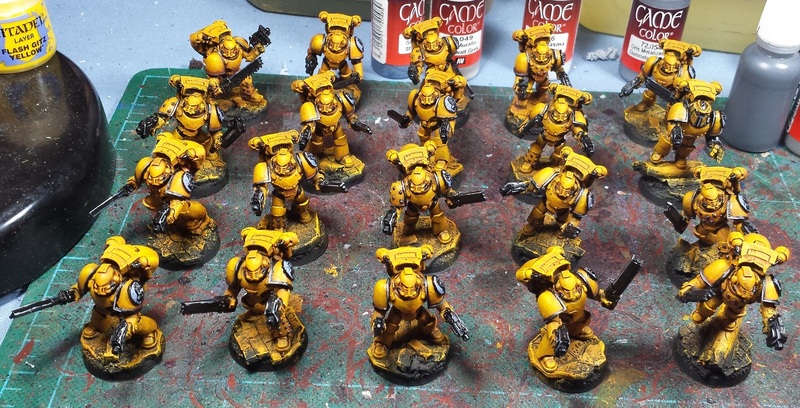 First time I've seen them as Imperial Fists too. Edge highlight to the blacks works way better than test models too, bravo sir. @Sr. Dies: Hah! Cheers man! @John Lambshead: Thanks, John! Was looking for a challenge with this project, the various test models were definitely the saving grace to come up with a viable recipe for the yellow! @Greg Hess: Excellent! I look forward to seeing 'em, man! @Dai: Cheers man! Aye, much happier with the highlight colors on these too. 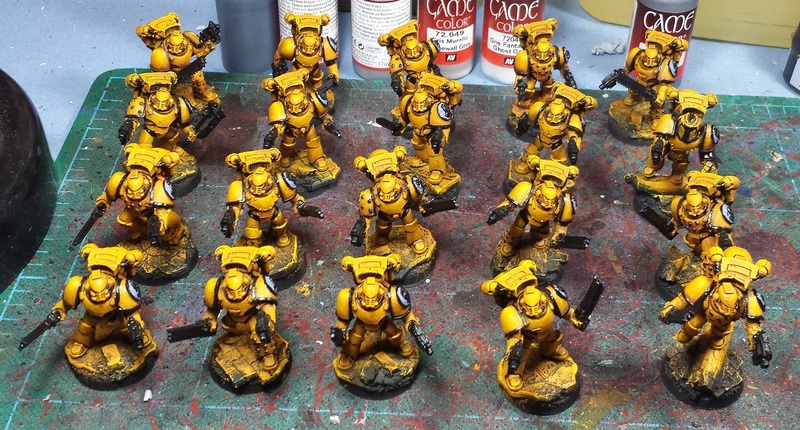 These guys look fantastic, the yellow scheme is so striking when used in a mass like that. Can't wait to see this expand to a full army (at this rate it won't be long! ).